Big Market Adventures for Little Foodies - Adelaide Central Market: The City of Adelaide's premier food destination. Over 70 traders under one roof. Discover our school holiday program for little foodies, with a range of free and low cost activities including the ever popular Market Trail at just $9, Little Market Chefs at just $18 and FREE kids workshops! 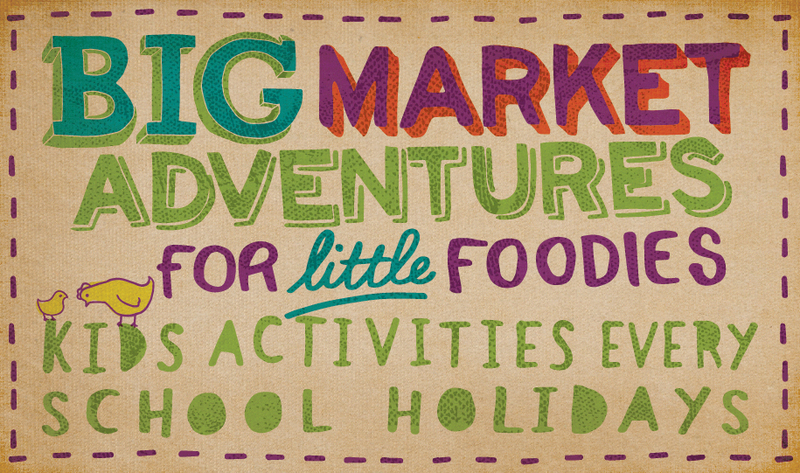 Little Market Chefs is back these school holidays! Here at the Adelaide Central Market we are passionate about starting from ground level and teaching the next generation how to prepare healthy, easy and tasty meals together with nutritional advice. Why? Because good health starts in the kitchen! All of the produce will be fresh from our stalls and the team from Sprout will ensure the classes are not only fun and interactive but have an educational focus too. Each class will include a small take away meal of the dish they prepare. The Market Trail is back due to popular demand! The trail has been specially formulated for little foodies to learn about the local and imported produce that the market has on offer. With ten pit-stops, each little foodie will receive a market bag, map and will visit the selected stalls to receive a sample item. The sample items range from cheese, yoghurt, a piece of seasonal fruit and sweet treat. You can’t beat the Market trail for value and fun these school holidays at only $9 (or $10 on the day). It is recommended that you book your place in advance as tickets are limited, however, when available bookings will be accepted on the day. Please note, online ticket sales cut off at 8am the day of the event, so tickets will need to purchased at the Market Trail desk between 9am – 1pm (subject to availability). Please note some sample items may contain nuts and it is the parent or carer’s responsibility to check all items offered by stalls. To celebrate the exhibition you'll see hanging around the Market 'The Market through our eyes', The team from Little Picassos will help your little one find find their inner artist as they learn how to draw and paint real life fruit, vegetables and seafood. A fun workshop where children will have the chance to decorate their very own Market bag to bring along to their next Market shopping trip. Free Market bag included (numbers limited). Come along to this free cooking demonstration to learn how to make delicious family meals with Australian mushrooms, complete with recipes and free samples!